I enjoyed the final concert of the Up With People Cast A 2010 last April 18 2010, Sunday. The event was held at Resorts World at the newest wing of New Ports City just near NAIA Terminal 3. Although we came in a little late, we still managed to get front seats (thanks to Jamie because they came earlier and reserved seats for us). Resorts World is the major sponsor for this event. It is a pretty huge resort hotel with an entertainment section for those who love sport bet and gaming. The Up With People cast performed so well and I am so proud of them especially our friends Paul Rush, Kyle DeGraff and Michael Roudebush. We really didn't expect that the three boys have their own lead performances on the show - and they're so good! We're proud of their performances. Kyle and Mike did a lot of singing and dancing. Paul was the lead guitarist and on the latter part of the show, he did a song number, too. Sadly, it was their last day here in the Philippines and they will be leaving for the US right after the show. We will miss the cast and we hope to see them again real soon. Until next time guys! With Kyle and Michael singing "Tuwing Umuulan"
Just last month, I bought a mini refrigerator about 3 or 4 cubic feet, I think. At first, I was kind of enjoying the fridge because during the first few weeks because it is so cute and it only occupies a small portion of our kitchen. However, I started to feel annoyed about it the past couple of days. Why? Because the freezer room is quite small that we can't store much frozen goods inside. In turn, we had to go to the grocery store like every other day just to buy meat and all that. So right now, I am thinking of selling my one-month old fridge so I can get a bigger one. The unit is as good as new and I guarantee you that it is 100% functional. Aside from the fridge, if you buy it, you get to have freebies as well because I am giving away the refrigerator magnets (laughs). Kidding aside, if anyone of you (or you know someone) who is planning of getting a mini ref, you might want to buy mine and it's way cheaper than it's original price (definitely!). A couple of hours ago, just after I had dinner, my cousin from the United States called us at home more specifically to speak with my mom. I was so curious on why she wants to talk to my mom so I asked her. With too much enthusiasm and joy, she told me that she and her family will be transferring to their new home in Las Vegas. She was so excited to tell it to my mom because my cousin knows about how eager my mom is to go to Las Vegas. Probably she wants to experience the night life there (laughs). Well, going back, I had a short chat with her since mom was not yet home when she called. She told me that she and her husband were able to get their dream house because of Owner Financing Sale. She actually gave me a website that actually deals with the same. I checked on it (ownerfinancinglistings.com) and I was really convinced about the website, especially its interface because it is easy to use. Finding a home using this website is so convenient because there are a lot of photos which can help in visualizing the look of the house. Searching by location, price and amenities is also possible. See the site to know more about affordable housing options. The past month, I was a bit busy looking for a cheap condo unit for me to stay in while I am studying here in Manila. And luckily, we found an affordable unit here in Pasay city which is just near Mall of Asia. The location of the condominium is perfect because not only it is near the world's 4th largest mall, it is also just behind two metro train stations making it convenient in going to different cities in Manila. If not for this cheap condo unit here in Pasay, we could have just rented a house somewhere in Taft avenue which is where my school is. Good thing we found one just before classes started. I have learned also a very easy to navigate website online that caters to offering apartment units, houses and condominiums for rent. The website is very user friendly and you can even sort out information according to location, amenities or cost. If you are planning to Rent A House, this website will surely be of great help for you. Visit the website for more about rental assistance and information. You will be surprised on how convenient the website is even for first time users. Organizing an event is never easy, especially when you are short on manpower. Most of the time, it becomes very stressful because you have to make sure that everything will go well as planned during the actual event and there should be no room for mistakes. I already experienced organizing an event with a very short time frame, and it is really mind shaking. Time preparation is really essential if you want things to go smoothly. If I were to organize an event, like trade show exhibits, parties and formal gathering, I think it is a wise choice to hire an organizing team and let them handle the pressure for you. Nowadays, there are a lot of companies providing organizing services and even offers utilities to be needed on the event like table covers, table top display and some multi-media stuff like projectors, backdrops, directors chairs and many more. So, why worry yourself when you can get someone to do it for you the right way? Lately, I noticed that the real estate business is booming because I always see a lot of new buildings and establishments being put up everywhere offering condo owning and rental packages. Think of all business that will never drag entrepreneurs to bankruptcy and real estate business will be one of them. Land is the only property in the world that never depreciates in value, rather increases constantly through time. Hopefully, I get to invest into this venture as well. I want to put up a mini hotel with an entertainment and relaxation center. I want to have a passive income in the future so I can just relax and do the things that I love in the future. Here in our country, it is never easy to find for condominium units because they are literally everywhere. In many parts of the world, there are a lot of websites that cater to to providing information about room rentals for either Luxury Condominium units or the more affordable economy packages. One great example is Luxury Apartment Shop. The site is so easy to manipulate and loads easily. It also provides a number of useful information and photos for a convenient search. Drop by at the website and search condominium units and affordable housing options near your place. I have been out of the blogospehere these past few weeks because I am quite busy into preparing for my studies. As you all know, I recently went back to school. Well, just a language studies. I will be studying Spanish and hopefully, I get fluent in less than a year. And since I am always offline, I seldom had the opportunity to update my blogs. Then I found out about this website that offers free article contents. I tried it and it's been pretty good so far. It lets me choose the topic of the articles that I want to post on my blog. So far, I am finding it as a big help into keeping my blog up to date without me having to spend time on it. The website also caters to providing Business Articles for companies who wish to promote their businesses online. If you are a busy type of person who finds less time into creating content, I'm sure you'll find something online. There are a lot of web hosting services available online that offers a lot of benefits and all claiming to be the best. The only person that can tell whether the web hosting is good or not is the website owner himself because he is the one setting expectations for the site. As you see, the website owner is the captain of the ship (website). So he is the sole person familiar with the requirements of the website either for personal use or for business purposes. The best thing to do when getting a web host is make an assessment first regarding your expectations. Also consider web hosting reviews as they are helpful in providing you a clear and better explanation of the services offered. It is always important to remember that maintaining a website should not be a trial and error method, rather a very complicated responsibility that requires proper attention and decision. I just would like to take this opportunity to congratulate those who passed the recently concluded Electronics Engineering Board Exam conducted by the Professional Regulation Commission. I heard that there is only a small passing percentage. I'm sure the exam is just as tough as what we had before, so I salute the survivors. For this reason, I would like to share a post about getting a new home since most newly passed engineers will flock to different locations in search for a job. Might as well be aware of some Overview on Buying a Home for first timers just to have a idea on what needs to be done when moving in to the metro. Actually, iRentToOwn.com that I found useful on the net is the ideal website to look out for when transferring or buying a new house. I happen to see the website's Atlanta Rent To Own Homes which is so easy to use and navigate. There are a lot of useful pictures as well. One advice when finding a new place to stay in is the convenience and safety of its location. Good luck on your house hunt and to your job hunt as well, new professionals! I am craving for a photoshoot and I want to go to places like the Mt. Pinatubo crater or the beautiful island of Coron in Palawan. Suddenly, I felt the need to study Photography more and take the hobby on to the next level. 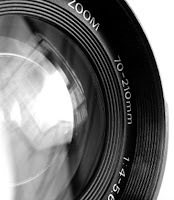 As you all know, I have always been fascinated with taking photos of anything and everything. One of the gadgets that I can't live without, next to my cellphone and laptop, is my camera. Call it addiction, but I really am drooling over to press that shutter button whenever I see a prospect subject. One of my friends is actually getting into the Photography addiction as well and is thinking of buying his own DSLR, soon. I am excited for him in getting his new DSLR. At least we can do photo shoots together while hanging out or while on a trip. I guess the Photography hobby is starting to invade the many. How about you, are you shielded enough for you not to be hit by this technological phenomenon? As most of you know, we just recently moved in to a new condo unit and I am still adjusting with the new environment. The new unit needs a little redesigning though because I am not comfortable with the traditional style. I want to make it look more like my personality. Next week, I will ask some of my friends to accompany me and look for a new stainless steel sink. My first priority as of the moment is the kitchen area. I am looking for some great sink designs like those stainless steel sinks advertised on MR Direct- simple yet elegant designs. These animated versions of me were created from www.faceyourmanga.com. The website is fun because you get to sculpt your own look by choosing from many different face and features that will match yours. Try one it's cool! I recently heard the news about the sudden vanishing of Jacques D'Azur- the famous French film director/ producer/ actor/ tennis player/ chess master/ backgammon champion/ waterskiing pioneer and full time bon-vivant known for his work on the red carpets, swimming pools, and silk sheets of the French Riviera. According to the news, he went on a vacation (which he usually does every year as a pre-Cannes Film Festival vacation) on a yacht and went over a sea near Tahiti. And since then, no one was able to tell his whereabouts. For your information, Jacques D'Azur is a very popular personality in the French films because he has portrayed a lot of leading roles on different movies during his time. In fact, he is known to a lot of titles such as "Legend of Cannes", "God among men" and "movie stars' movie star". As of the moment, Cannes Film Festival's official partner, Stella Artois 4% is currently doing actions to find the missing legend. A website was even established just for the public to be informed about Jacques D'Azur. They are encouraging everyone to take part in doing actions to at least find a legitimate heir of the missing Jacques D'Azur to go to the Cannes in his place. Here are some of our awesome pictures from our Banaue summer road trip last Holy Week. It was my first time to see the Rice Terraces and it was a really great and memorable experience. We met some of the native Ifugaos as well and they were so accommodating that they even let Michael and Jamie wear some of their native clothes. 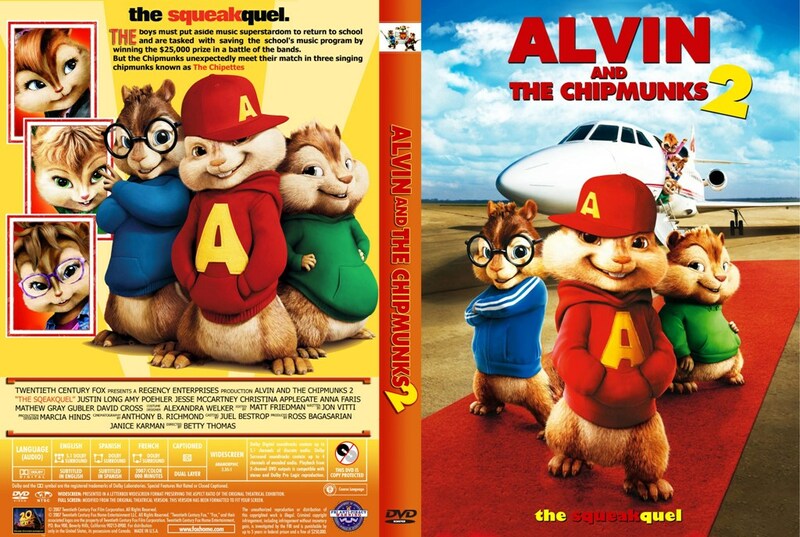 I have good news to all Alvin and the Chipmunks fans out there. I know most of you are eager to get their own copy of the movie. Well, frown no more because Alvin and the Chipmunks: The Squeakquel" is now available on DVD, Blu-ray and even for online download. Yes, you've read that right. Actually, they are offering a Double DVD Pack which actually includes a bonus disc with the "Squeak Along" plus many more music, mayhem and sing-alongs. I have always been fascinated with these cute and adorable chipmunks. I have seen the Alvin and the Chipmunks Movie in the cinemas and I really enjoyed it. And now, The Squeakqel is an even more exciting sequel because the chipmunks are competing with three other girl chipmunks! Three more chipmunks is a whole lot of fun, I'm sure. So for those who haven't watched it yet, this is your chance to get in the bandwagon witness these cute chipmunks sing and dance. Now is the perfect time to spend quality time with your family, so buy it now. Check on foxfamilyflicks.com as well for More Munk Mayhem. Happy squeaking everyone!